E-readers have become standard objects used by patrons of libraries – academic and public alike. There are a slew of devices with which one can read and listen to their electronic audio and text-based books. Interfaces vary, variations in digitizing touch-to-action exist and screens are different. Some, such as the Nook by Barnes and Noble Booksellers and the Kindle by Amazon, are marketed specifically as internet friendly readers. Then there is the mini-Ipad, the Kobo reader and different builds of hardware on the Android platform such as the Nexus. The Nook even has ‘apps’ designed to work on its platform – a hybrid of Android and proprietary software. Each of these readers and/or features is not unimportant. I could even bring up differences in tablet readers and e-ink devices. I won’t. I want to talk about differences in implementation of reader software. I want to look specifically at real differences in e-publication formats, how they change what reading is as an activity on an electronic device and how formats are tied to reader software. No, I’m not here to break down code or look at processing algorithms. Fascinating stuff of course. But that analysis goes elsewhere. There are many formats in which to read publications electronically. There is HTML, EPUB, Kindle and PDF (and a few others for readers popular around the globe). PDF works with lots of reader software, though not all. Kindle, of course, works only within the Kindle device or reader app because it’s a proprietary code. EPUB is not. It will work with readers as far afield as the NOOK, any Android Device and readers such as Kobo or the one sold by Sony. There are lots of publishers who, in an effort to expand the range of creativity in reader choices, publish only in EPUB. It’s generally considered an “open-source” coding for text. There are differences, however, in implementation of use of EPUB or PDF – wherein we note the crux of this piece of writing. EPUB is designed to work with many readers. But the way it works with different readers changes depending on the vender of the electronic item. For example, two popular reader software applications that are compatible with EPUB and PDF and have been used by public libraries in my area: the first is the most popular eBook vender, Overdrive (which is a vender and a reader application); the second is Bluefire (which is a reader only with built in links to online spots to buy books or to download public domain titles). I currently read on a Google Nexus 7, touchscreen obviously (though I use my stylus to turn “pages” a lot) and I use both the OverDrive and BlueFire applications for EPUB and PDF texts. OverDrive is not as convenient a reader to use as Bluefire because it is tied to its connection firstly as a reader of books borrowed from the library. The application itself has a GET BOOKS tab through which books can be searched in libraries’ eBook collections. 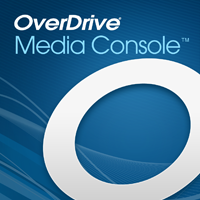 OverDrive works as a portal to the library’s catalog of eBooks. BlueFire is not as tethered. It operates as a third party option available to the reader to choose which reader to use if the option is allowed by the objects being considered or publisher controls etc. 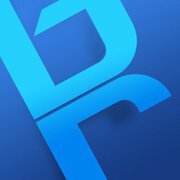 OverDrive does not list the actual format of the books in its library while Bluefire does – to the right of the title OverDrive just says eBook while Bluefire lists EPUB or PDF. The difference is no inherently wrong. Bluefire simply has slightly fuller metadata while OverDrive probably sees itself (just a guess here) as a reader use by the populace who (they think) don’t care about “technical” aspects of the text in front of their eyes. The issue of metadata certainly marks a difference between these two readers. But it does not mark the most important distinction in my fBook (f for figurative 😉 ). The most important implementation variant between these two readers is the difference between content/quantity representation models in use – specifically the way in which each reader represents pagination in eBooks. OverDrive DOES NOT use page numbers – a fact which I believe to be problematic for reasons of making reference to books read, annotations made for future reference and ability to cite. In fact, this is an even more problematic feature of OverDrive because as more and more texts are being consumed in eFormat, if one’s ability to cite books for reference and scholarly purposes (professional or amateur researchers) is restricted, the reference to other books and facts built for new writing will be challenging. Bluefire does not have this issue. It lists the eBook as containing pages 1-whatever). OverDrive chooses instead to subdivide every section of the eBook into page sections that are counted as percentages. For instance, instead of showing the first page of Chapter 3 of a book I am reading on Physics starting on page 40 as it does in the paper text, it represents this “page” as “Page 1 of 19” with Chapter Progress of 5.3% and whole book progress as 13%. The page number itself really means nothing in relation to the whole eBook and percentages have nothing to do with reading page-to-page. The lack of ability to cite this text – again, a feature tied to its use by the populace who OverDrive believes does not care to do reference work – is a major problem. But it’s also a contradictory stance because I bet the same popular reader is just as happy to be able to know what “page” they’re reading. I can’t imagine anyone really cares about what percentage of each chapter is finished within the overall book except as an arbitrary number to call out. These percentages smack of computer modeling and lack the granularity of real page counts. Bluefire does not have this problem. It has some of the same ability to jump from section to section by using a dropdown contents tab. But it makes reference to pagination within the overall structure of the content being read. This feature increases the granularity of the reading experience and makes citation possible with the use of as few marks as possible in the citation. Thank you for your time. Take a look at different eReaders and don’t hesitate to reply here or at Twitter. I am always open for discussion and learning. This entry was posted in ebooks, ereaders, ereading, library collections, reading, reference books, Technology in Libraries.